I'm a big fan of Mikkel Sommer's work. 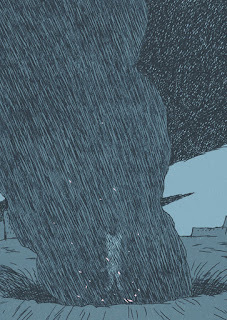 I first became aware of the Danish illustrator and cartoonist via Obsolete, his comic book with Nobrow - an excellent story about two ex-soldiers struggling to deal with post traumatic stress disorder-, as part of the British publishers 17x23 line. 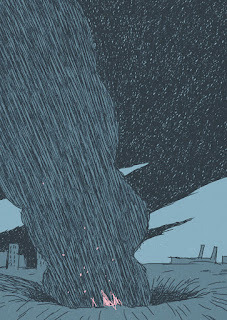 I've been following Sommer's work ever since, and been impressed with whatever of it I've managed to catch: the shorter comics he's contributed to both German anthology Neufundland, and Nobrow's Brave New World and Oh So Quiet volumes; Men Ikke I Dag ('But Not Today'), his rather fantastic-looking children's picture book; and superb, style-and-time spanning gifs like this one. But that has all been spread over the course of 5 years or so, and it's not often that the opportunity arises to buy an in-print comic work from him. So I was really pleased to read Latvian comic publishers, kuš' line-up for their next batch of mini-comics -'mini kuš! 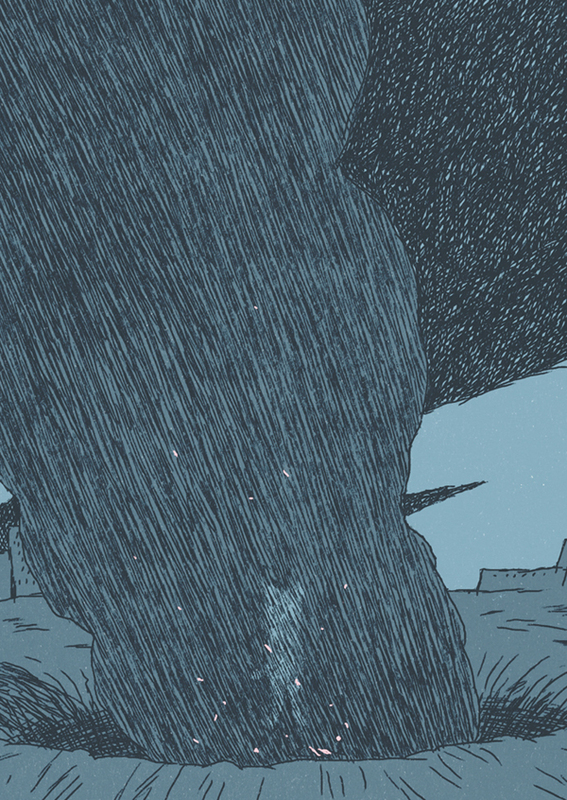 ': with a book each from Theo Ellsworth, Lai Tat Tat Wing, Tommi Musturi, and...Mikkel Sommer (you can see the covers and preview pages for the 4 comics here)! As much as I love kuš's 's' anthology -and I'm particularity looking forward to the Fashion volume- the 28 page, full color, saddle stitch bound mini kuš! allows cartoonists more scope to create a more individual vision/work. 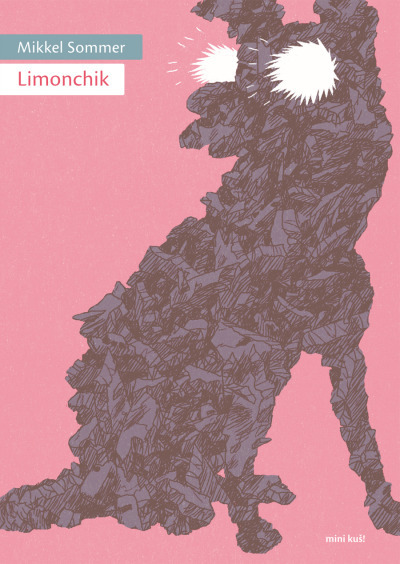 Sommer's book is titled Limonchik and focuses on a much-loved subject: Laika. On November 3, 1957, the Soviet Union launched Sputnik 2 into space. 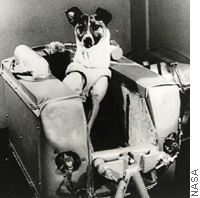 Inside the spacecraft was Laika, a dog. A stray picked up from the streets of Moscow just over a week before the test, Laika became the first-ever living animal launched into orbit, in a flight designed to test the safety of space travel for humans. It was a guaranteed suicide mission for the little dog, since technology hadn’t advanced as far as the return trip. To that end, Nick Abadzis' superb and highly recommended 2007 book with First Second melds fact and fiction to narrate Laika's story. No doubt Sommer's comic, which promises to see Limonchik return to Earth half a century on for an undisclosed purpose, will be a very different affair. Pre-order a copy here; I'm sure it will be worth it.